For a wonderfully modern injection of colour in your home for the new season; this terrazzo inspired design is the perfect update. Hand-painted in the style of a beautiful, timeless craft; this is a bold addition to any table. 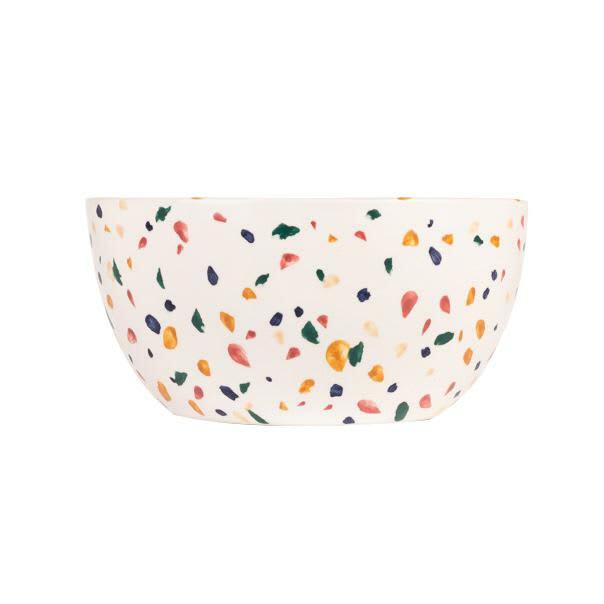 Brighten up cosy nights in with this colourful pasta bowl. Dassie Artisan in Five Oak Green, United Kingdom.